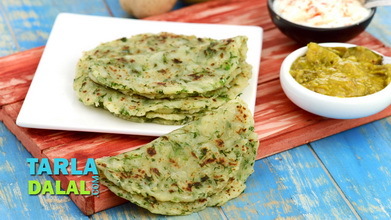 A popular breakfast option in most North Indian houses, theses parathas go well with a lot of subzis too. 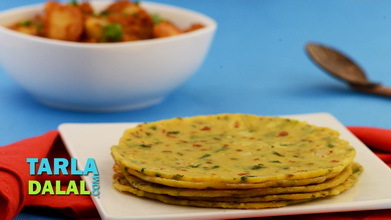 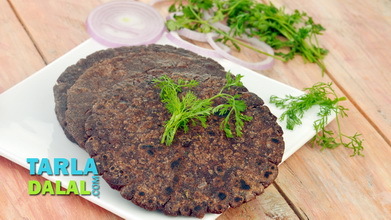 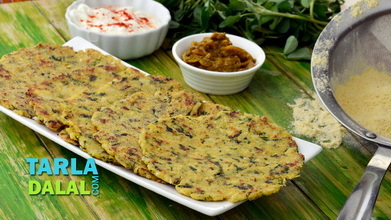 Here is an innovative version made with jowar flour and mashed potatoes, which help to make them soft. 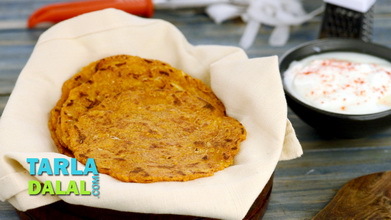 Combine all the ingredients in a deep bowl and knead into a soft, smooth dough, using little warm water if needed. 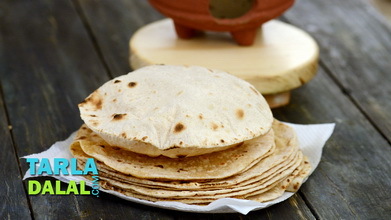 Divide the dough into 6 equal portions and roll out one portion of the dough into a 100 mm. 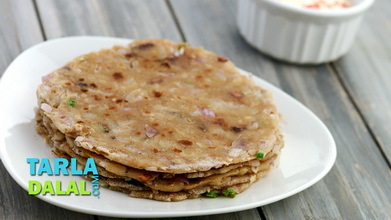 (4") diameter circle using jowar flour for rolling. 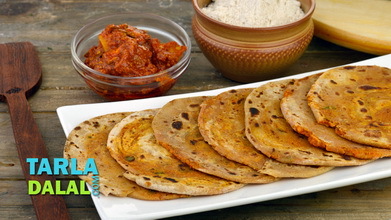 Cook the roti , using a little oil till brown spots appear on both sides. 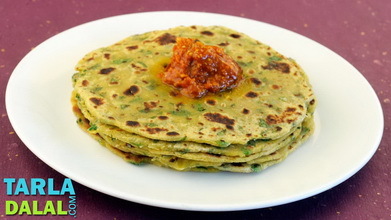 Repeat with the remaining portions to make 5 more rotis.